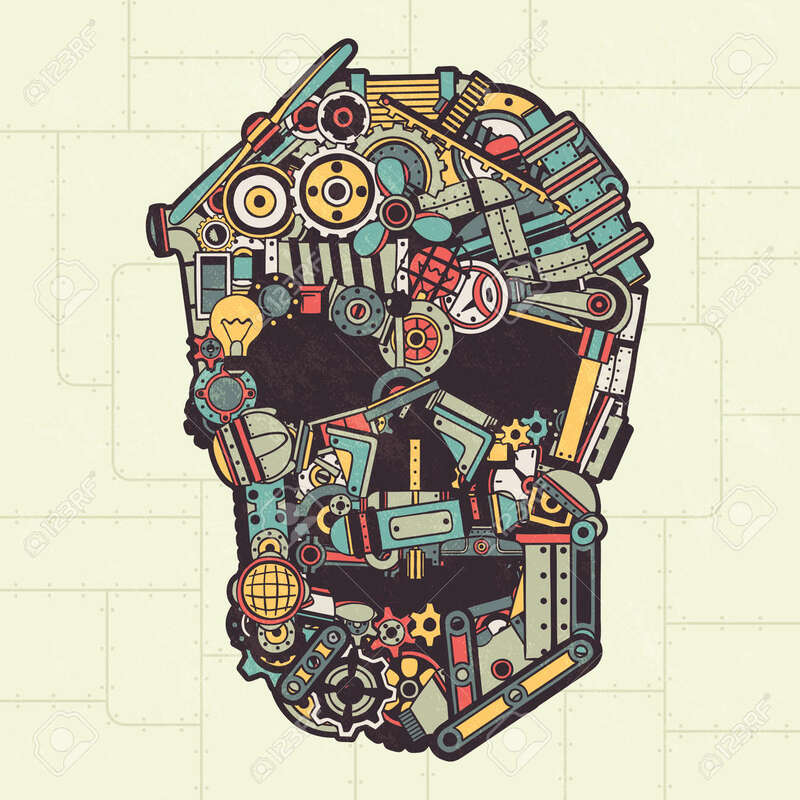 Skull Made From A Variety Of Machinery Parts, Appliances, Pipes,.. Royalty Free Cliparts, Vectors, And Stock Illustration. Image 63745463. Vector - Skull made from a variety of machinery parts, appliances, pipes, machinery. Vector illustration. All elements are drawn separately. Texture on a separate layer. Skull made from a variety of machinery parts, appliances, pipes, machinery. Vector illustration. All elements are drawn separately. Texture on a separate layer.